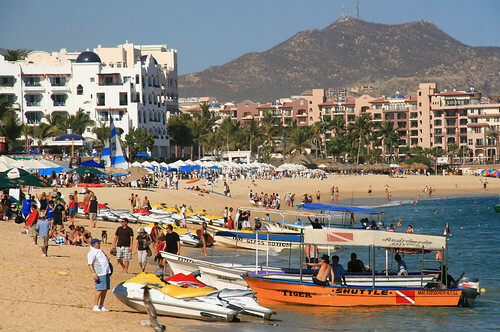 Many areas within the shores on the Sea of Cortez, Mexico, still remain largely undeveloped, besides the south, where you’ll find Los Cabos and it’s plentiful supply of tourist amenities. The beautiful shore line and pristine clear waters have half of Hollywood coming down here to enjoy the view. But the variety is definitely here; you can catch a traditional Latin concert by the water, catch up on your fishing hobby, kick back with a beer, sunbathe until the sun goes down and even do a little whale watching. So depending on what you want to do and what you’re expecting to find while hols in the Sea of Cortez, check out the following 6 best beaches on the coast and see which one you’ll be heading to on your next holiday! This is your perfect day-out-with-the-kids beach where you can find plenty of family fun activities like snorkelling, kayaking and fishing. 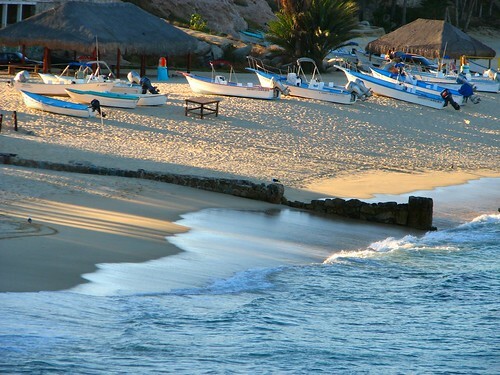 The mile-long shore and calm waters also make this the best place near San Jose del Cabo to go swimming without having to fight the waves. 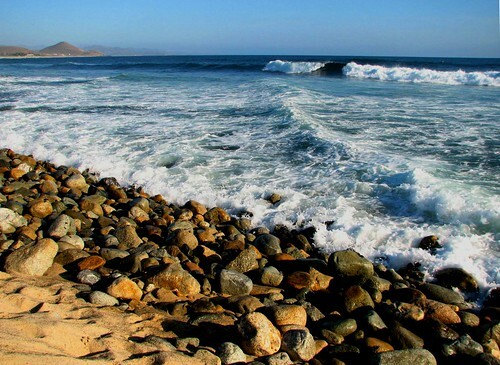 This beach is a surfer’s haven and boasts some world famous wave crests and breaks. Summer is the busiest season of the year since hurricanes and tropical storms create even bigger waves and the ocean is at its warmest. This condo-lined beach is popular with plenty of local joggers and walkers, but swimming is not advised unless the waves are small (aka no surfers around) and you’re a strong swimmer. If you’re going on a snorkelling tour most likely you will be directed to this lovely beach where snorkelling is its main attraction. Because it is protected by the surf and a ton of marine life to see it is an amazing spot to visit. However, if you do not enjoy large crowds I’d suggest going in the early morning before too many other tour groups arrive. 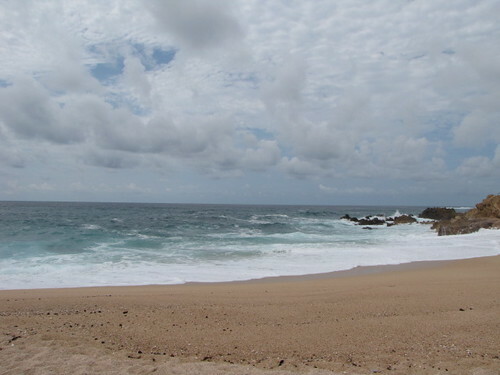 This beach is also commonly known as Widows Beach. This is the perfect place for picnicking and enjoying tidal pools but be prepared for the rocky sand while heading in the water by putting on a pair of water shoes. When the waters are calm this is also a great beach for swimming and snorkelling. In the midst of barefoot bars and beach bummed restaurants; this two-mile long beach is packed with water sport fun. You can find plenty of jet skiing rentals, parasailing, wind surfing, etc. during your time here. This is a beautiful, secluded beach surrounded by a palm grove with a fresh water lagoon that is home to a variety of plants, birds and wildlife. 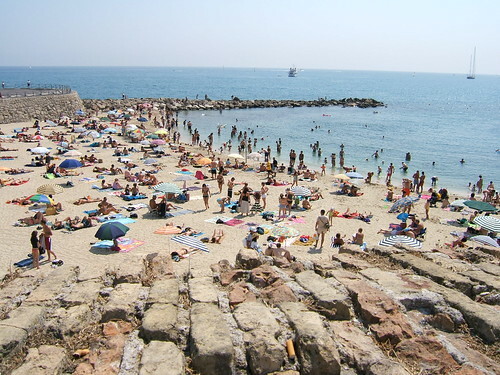 Due to strong riptides, it is suggested to swim towards the middle of the beach.